Durable fiberglass with printed surface. 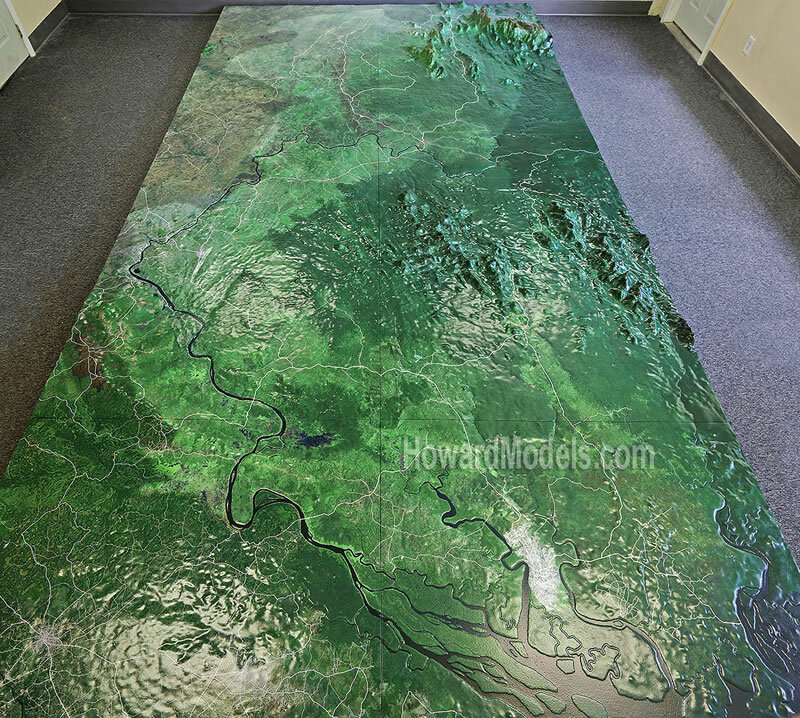 As with all of our fiberglass terrain models, the fiberglass was not a top coat on a foam base but laid up in a mold so it has all the detail of the original. Client wanted the fiberglass because employees would frequently walking / crawling across it to update the roads. Being fiberglass, this is a really solid terrain model. Model shipped with rolls of colored removable tape so roads could be updated easily. 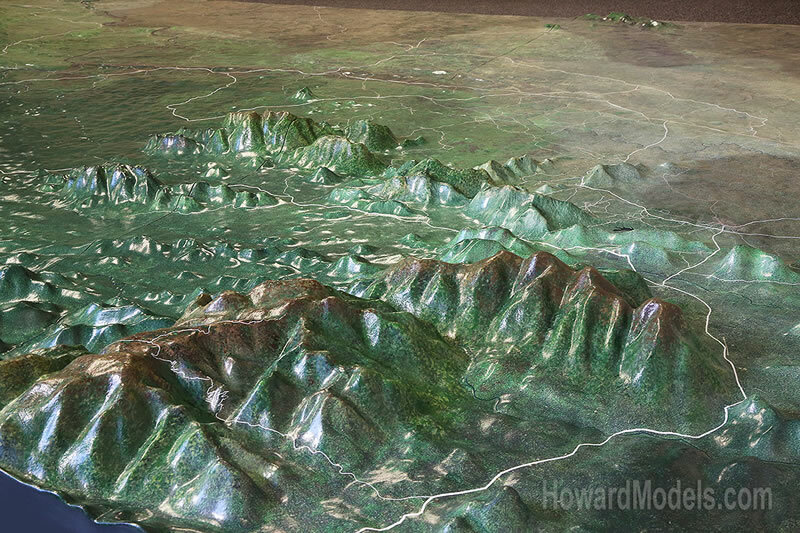 Due to its size and being fiberglass, a terrain model like this can take 6-8 weeks to produce. One does not appreciate the quality of GIS data in the USA until working on a project like this. Road maps of any detail were non-existant and many roads were traced in from satellite photos - which are pretty sad compared to what is available here. At the time, the state boundaries had not been surveyed yet so we opted for a gentle darkening of the areas outside of the generally understood Cross River boundary. 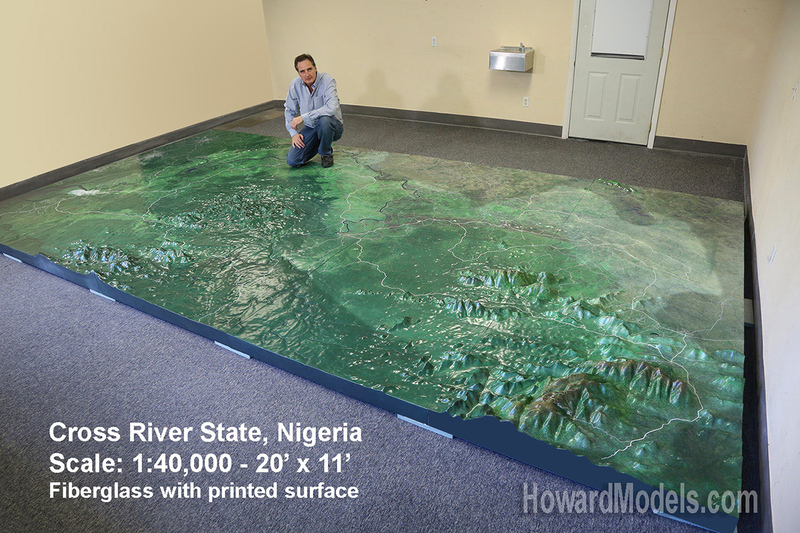 We also fabricated a similar relief model of the neighboring state of Akwa Ibom.